LeesyKnits: Wow, I'm too old? 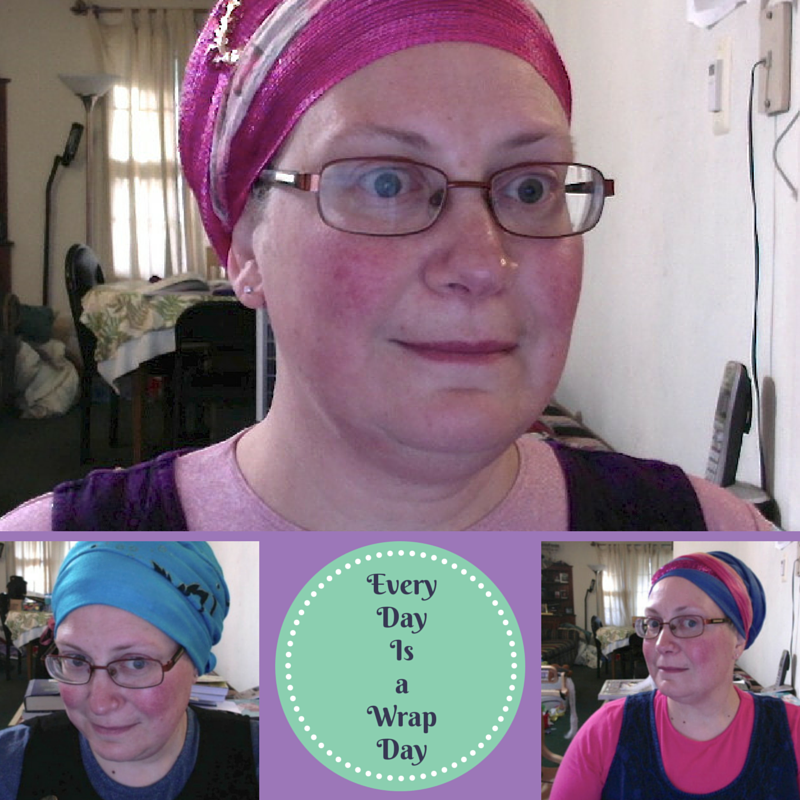 Someone on the Wrapunzel Facebook group posted that she had tried to convince a friend who covers her hair to start wearing scarves (I don't know what the woman wears now, turbans, wigs, something else). The friend's response was that women over about 40 don't look right in headscarves (referring to herself, not criticizing the rest of us, was the inference). So all of those of us who "qualify" jumped in to show ourselves in scarves, feeling good, not feeling "mutton dressed as lamb!" So here's what I posted, from the previous few days' outfits.